Not everyone is looking for a common SUV. If you are someone who demands only the best, then you need to experience the 2018 Toyota Land Cruiser for sale in Fort Collins. This timeless icon is available in six unique exterior colors and is a sophisticated blend of off-road prowess, on-road comfort, and unparalleled refinement. Pedersen Toyota is honored to offer the 2018 Toyota Land Cruiser to drivers in the Greeley, CO area, so we thought it would be helpful to give you all the specs that make this SUV so special. The 2018 Toyota Land Cruiser is powered by an impressive 5.7-liter DOHC 32-Valve V8 engine with Dual Independent Variable Valve Timing with intelligence that produces 381 horsepower at 5,600 rpm and 401 lb.-ft. of torque at 3,600 rpm. The eight-speed electronically controlled automatic transmission with ECT-i includes sequential shift mode and uphill/downhill shift logic. For a smooth ride across all types of terrain, there is a full-time 4WD system with A-TRAC and an independent double wishbone front suspension and Kinetic Dynamic Suspension System. The Toyota Land Cruiser can handle just about anything thanks to its unitized steel body that is built on a 10-member high-tensile steel ladder frame. Drivers will also enjoy 18-inch five-spoke alloy wheels with P285/60R18 116V tires, aluminum running boards, and skid plates on the front suspension, radiator, fuel tank, and transfer case. 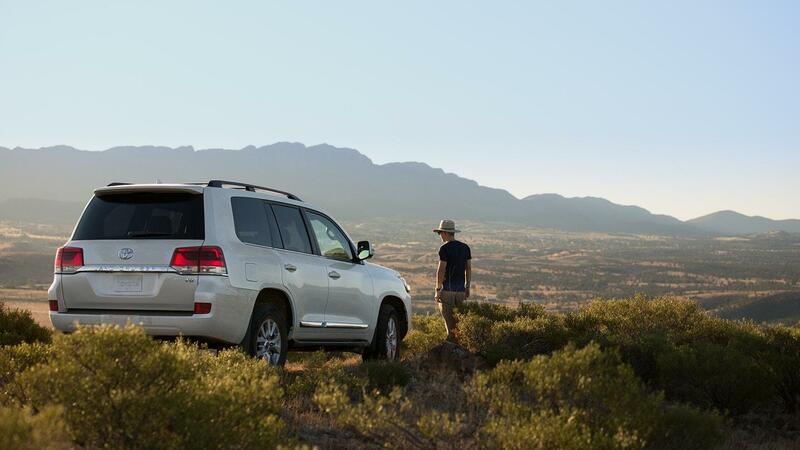 Because this is one of the most exclusive SUVs on the market today, the 2018 Toyota Land Cruiser is packed with the latest hi-tech and comfort features. To keep everyone entertained there is a standard Entune Premium JBL Audio system with Integrated Navigation and App Suite. This unique system includes a nine-inch high-resolution multimedia touch-screen with split-screen capability and integrated backup camera display as well as 14 JBL speakers and a 3-month complimentary SiriusXM All Access trial. The enhanced Multi-terrain monitor offers selectable front, side or rear views. Hate having your phone run out battery? This SUV has a standard Qi-compatible wireless smartphone and mobile device charging station. 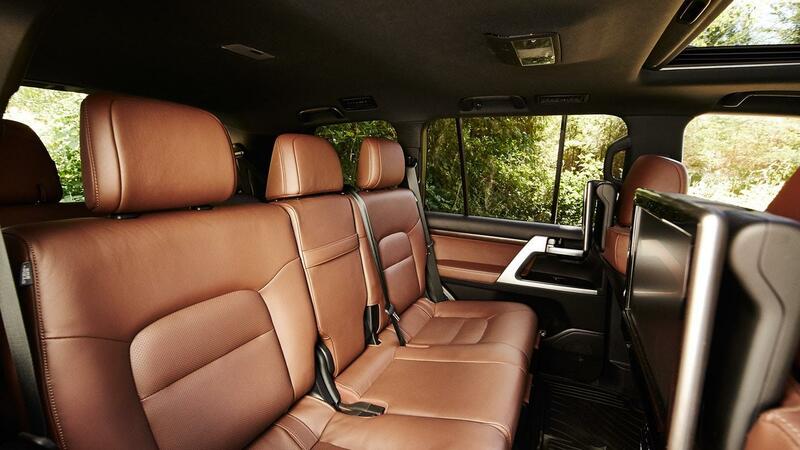 To make all your passengers as comfortable as possible, the Toyota Land Cruiser features 8-passenger seating with semi-aniline perforated leather-trimmed seating, 50/50 split, fold-down third-row seat with folding headrests and abrasion-resistant seatback material, and multi-stage heated and ventilated front seats with power lumbar support. If you are as excited as we are about the 2018 Toyota Land Cruiser, the time is right to take one for a test-drive. To make this dream a reality, please contact Pedersen Toyota or drop by our modern showroom in Fort Collins, CO.